240 Litre bin (same as a household wheelie bin) on 2 wheels. 240 Litre bin, H 1.02m, W 0.61m, D 0.74m. 660 Litre bin on 4 wheels. 660 Litre bin, H 1.07m, W 1.22m, D 0.76m. 770 Litre bin on 4 wheels. 770 Litre bin, H 1.27, W 1.22m, D 0.76m. 1100 Litre bin on 4 wheels. 1100 Litre Bin, H 1.37m, W 1.22m, D 1m. 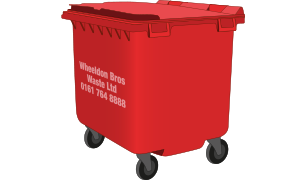 Wheelie bins are designed for light waste (not suitable for liquid waste). 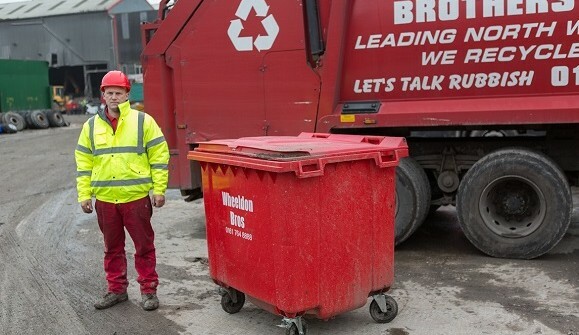 Commercial wheelie bins are emptied on a weekly or minimum fortnightly basis, on the same day each week. Payment is quarterly in advance. 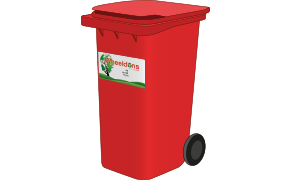 Household council wheelie bins can be emptied on the weeks that the council don’t empty them. There is no contract involved and no hidden charges. The price is £25 per month for weekly collections (3 out of 4 weeks per month) or £12.50 per month for fortnightly collections (1 out of 4 weeks per month). These prices include VAT. 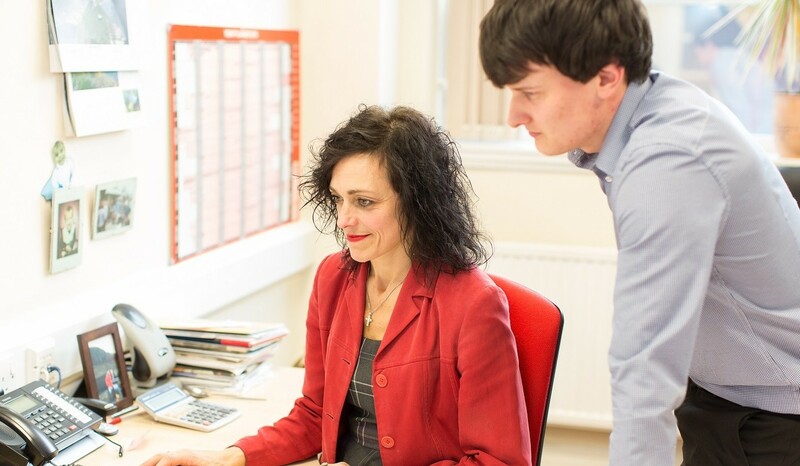 Invoices are sent quarterly in advance, with an additional one month charge (this is a one off payment) to allow the payment to reach us by standing order. You can put all kinds of non-hazardous waste in the bin (only when we are emptying it). 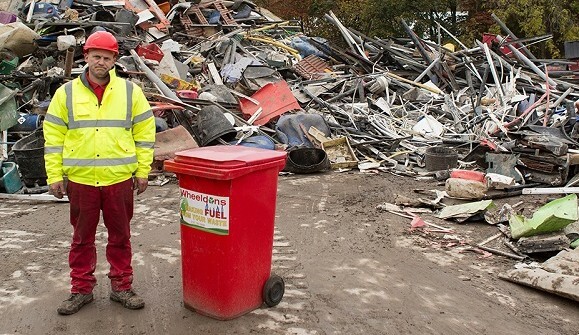 We recycle over 90% of the waste we receive. 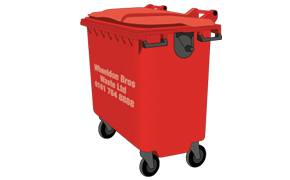 To see collection dates for your area, please see our Wheelie bin collection blog hereand refer to the row labelled ‘Grahame Dunford – Mini bin wagon’.